An email marketing campaign offers a convenient and inexpensive way to communicate new offers to your existing customers. 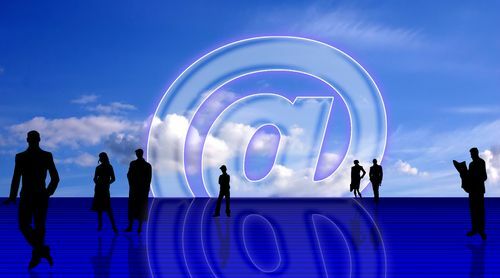 In carefully managed contexts, email marketing also provides connections with thousands of potential new customers. A successful email marketing campaign requires paying attention to testing, evaluating your market and managing the message you want to send. Test your messages – Small differences in subject lines, opt-in pages, marketing copy and other elements can make the difference between being read and getting deleted. Split testing lets you try different approaches on a small segment of your potential customers to see what works best. Once you know what generates the most response, you can send that message to a larger number of recipients and reasonably expect a better ROI. Conduct surveys – When you have a responsive mailing list of existing customers, you don’t have to guess what they want from you. Conduct an email survey and ask them directly. An occasional survey is also a good way to maintain awareness of your business in your customers’ minds. Avoid the temptation to constantly sell – Not every email message needs to contain a sales pitch. Regularly send out email messages that contain helpful information, a warm greeting, useful commentary and other material that will improve customer relationships and deepen their appreciation of your business. Market to existing segments – Use what you know about your customer base to craft messages that appeal to particular segments. A scattershot approach to your email marketing campaign will likely produce poor results. However, if you know a segment of your customers is particularly interested in a product or service, you can devise specialized offers and messages that will generate better response from those customers. Update mailing lists regularly – Establish what you consider acceptable criteria for number of email messages opened within a specific time period. When members of your mailing list stop opening your emails, remove them from the list. A fresh and responsive list will provide much better ROI. How are you using email marketing to improve customer relationships and grow your business?